Most states in the USA, and many countries across the world have passed legislation that allows the use of marijuana for medical purposes. Some of this legislation is dependent on various claims, many of which appear to be based on weak or nonexistent scientific evidence. Of all of the purported marijuana medical benefits, only a handful are supported by real evidence. This review, Committee on the Health Effects of Marijuana: An Evidence Review and Research Agenda (pdf, which can be downloaded for free by registering or can be found online here), published by the influential and prestigious National Academies of Science, Engineering, and Medicine, examined more than ten thousand scientific studies that involved cannabis and various medical conditions. The value of such a review is that it examines not only the quantity of evidence supporting a claim but also the quality of such evidence. In the end, it gives much more weight to high-quality evidence. I know many comments will drop on this article that “you haven’t read that incredible study published in Journal of Weed and Cancer Cures” – that misses the point. The National Academies is a highly respected institution, made up of the most respected scientists in the USA. And the committee that created this review is made up of leading public health, cancer, epidemiology, pharmacology, and psychiatry, all fields germane to understanding clinical and basic scientific research into cannabis. Moreover, a review like this does two things – it gives more weight to well done clinical trials and pre-clinical studies, and it eliminates poorly done and biased studies. This is how science works – examine ALL of the evidence before coming to a conclusion. Pseudoscience, on the other hand, is to have a conclusion, like “weed cures cancer,” and only seeking evidence that supports that preordained conclusion. Furthermore, and this cannot be stressed enough, this review is not opinion. It is not belief. It is not cherry picking. It is a critical analysis based on thousands of studies published in peer-reviewed journals. This is not published in a pro-cannabis website that cherry picks, misinterprets, and overrates a one-off study in an obscure journal. The report is over 400 pages long – most of you will not read even a few pages, because it is a dense scientific review written by some of the top scientists in the USA. Before you denigrate the study, I would suggest you read it carefully. I have alerts set up to tell me whenever something is published on the internet about any adverse events that occur with respect to vaccines. A lot of it is nonsense pushed by the anti-vaccine religion, without any merit. Some are legitimate published articles, generally refuting myths about adverse effects. But today, we get the merging of my favorite topics – marijuana treats vaccine adverse effects. Yes, you read that right. We all know about the pseudoscience surrounding the vaccine adverse effects myth – it’s almost always based on a misreading of the vaccine package inserts, anecdotes, false claims, and almost anything but facts. 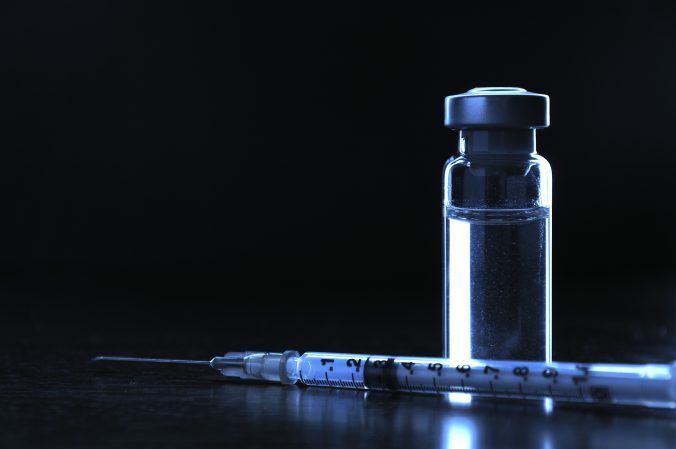 Rarely, vaccines can cause a serious adverse effect, no medical procedure is perfectly safe – however, the potential benefits far outweigh the risks of the vaccination. I’ve always been amused by marijuana advocates – they vastly overstate the benefits and understate the risks, sort of the opposite of the anti-vaccine religion. Current research on cannabis shows that there is little robust evidence supporting most of its claimed medical benefits – for example, it does not cure cancer, despite what you see on the internet. On the other hand, there has been only a small amount of research examining the risks of marijuana smoking. But a 2016 article in a major journal examined the effects of secondhand marijuana smoke, and the results should cause us to examine laws to regulate public smoking of marijuana in the same way we do cigarettes. I’ve written extensively about marijuana treatment for various diseases. For example, using it to prevent or treat cancer? No clinical evidence support its use. In fact, a large review of published science on medical marijuana showed little evidence of it having a clinical benefit except for just a few conditions, one of which was chronic pain. Apparently, there is little scientific evidence to draw conclusions about the benefits and harms of marijuana treatment for patients with posttraumatic stress disorder (PTSD) and chronic pain, according to two studies published recently in the respected journal Annals of Internal Medicine. Marijuana for ADHD – what’s the evidence? Those of you who follow this website know that I frequently take down myths about the medical usefulness of marijuana. Let’s just say the evidence barely reaches the level of “sparse.” Recently, Tara Haelle pointed me to an article that trumpeted using marijuana for ADHD, attention deficit hyperactivity disorder. ADHD is a psychological disorder in which the individual is unable to focus, is overactive, is unable to control behavior, or a combination of these, not appropriate for the age of the individual. Diagnosing ADHD is often difficult, because the differential diagnosis for the condition can be confused with or related to other emotional, psychiatric or neurodevelopmental disorders such as anxiety, major depressive disorder, and bipolar disorder. There are some treatments available for ADHD, including stimulants such as the well-known medications, methylphenidate, or better known by its trademarked name, Ritalin, and Adderall, a mixture of two amphetamines. These stimulants are very effective for treating ADHD, but there are some risks to its use, and the effectiveness appears to lower over time. So let’s look at marijuana for ADHD – it’s pretty weak, but let’s give it a good scientific skeptical analysis. Editor’s note: This article was originally published in December 2014. It has been revised and updated to include more comprehensive information, to improve readability, or to add current research. The name of this blog, of course, is the Skeptical Raptor. I’m not sure how I invented that name, but I like raptors, either the fossil dinosaur version, or the living dinosaur versions, birds of prey. They both actually work as a metaphor of what I try to do–provide scientific and knowledgeable analyses of the scientific consensus or critiques of beliefs and pseudoscience. Usually one leads to another. Of course, I don’t pretend to be very nice about my critiques, probably another reason why I chose to put “Raptor” in the blog’s name.